Over the weekend I was playing around with some of my art work, making printable posters and such. I can't tell you how much fun it is for me to see other people enjoying my little freebies. 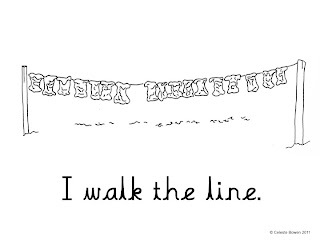 This one above I made based on a picture of my diaper laundry hanging out on the line. Please feel free to download it (click the picture to go to the download) and print it for your personal use. I hope this makes a great start to your week!